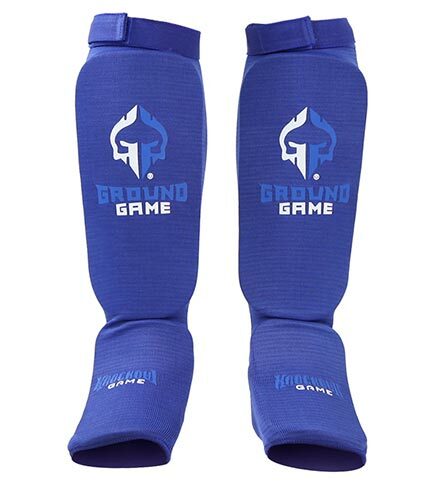 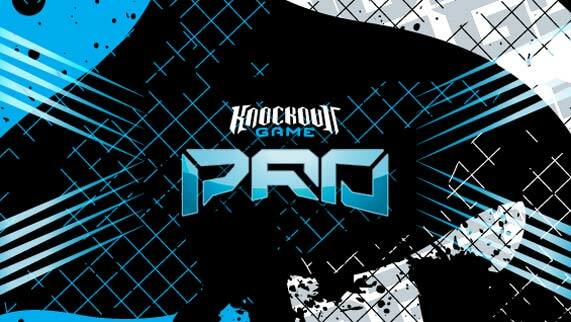 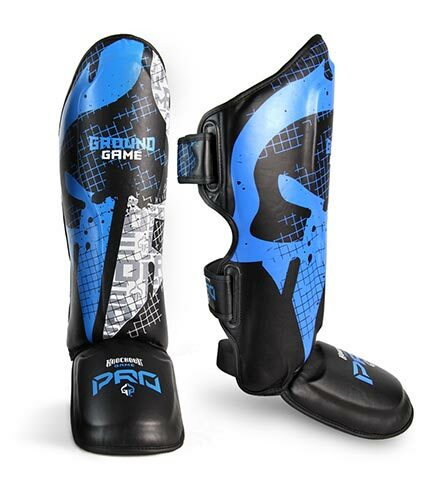 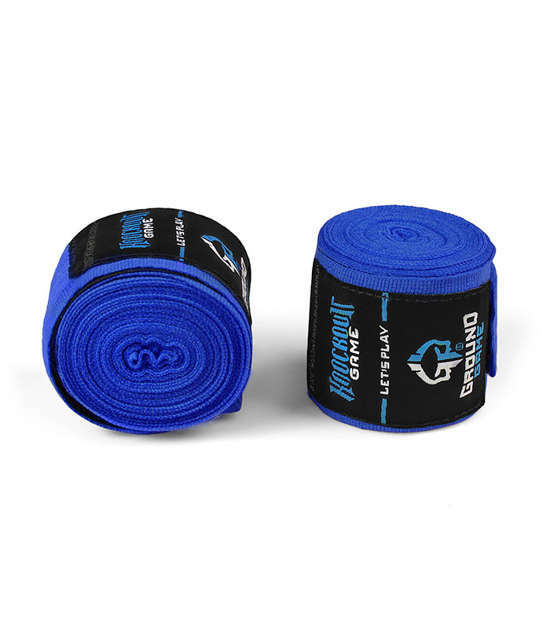 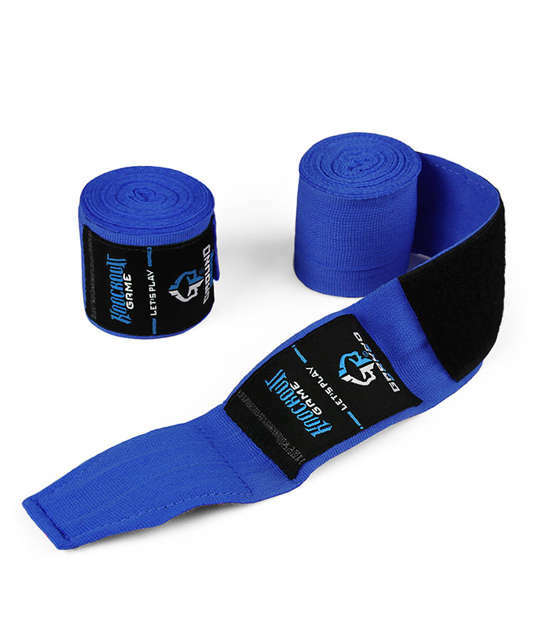 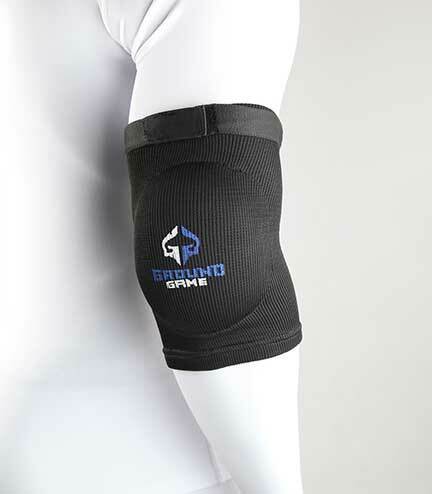 Classic, blue, single color hand wraps by Ground Game. 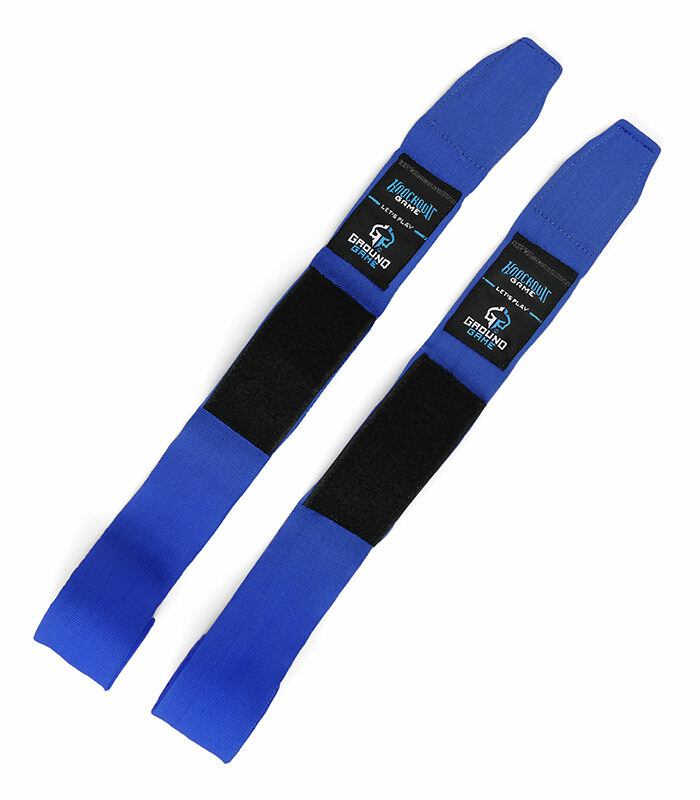 They have a comfortable and safe velcro closure. Made from poly-cotton blend that ensures durability. The material stretches a little to wrap your hands better.